New Protections for Physicians in Nonprofit Health Corporations? 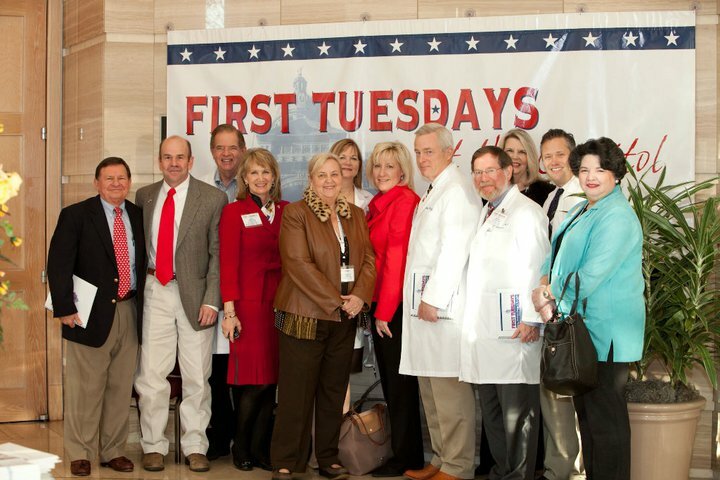 More than 350 physicians and medical students from across the state are headed to Austin for First Tuesdays at the Capitol tomorrow. TMA and alliance leaders and medical students will visit one-on-one with their state legislators, asking lawmakers to find the money needed to preserve basic health care services for Texas’ seniors, children, persons with disabilities and mental illnesses. They also will urge lawmakers to support a statewide smoking ban, prevent efforts by nonphysician practitioners to expand their scope of practice, and support funding for graduate medical education and the physician loan repayment program. Physician Employment: Today, Sara Austin, MD, an Austin neurologist and a member of TMA’s Council on Legislation, is testifying in support of Senate Bill 1661, by Sen. Robert Duncan (R-Lubbock). This bill establishes protections for physicians’ clinical autonomy and gives to the physician board of directors of nonprofit health care corporations [501(a)s] the responsibility for all policies related to clinical care. It also strengthens the role of the Texas Medical Board (TMB) in supervising the activities of nonprofit health care corporations. After almost three days of debate, the Texas House passed its proposed two-year budget, House Bill 1, Sunday evening. The bare-bones budget of $164.5 billion passed with a vote of 98 to 49. The 2012-13 budget continues to call for deep cuts to health and human services. The budget is short of what it would take to maintain current health services, especially given population growth and inflation. HB 1 would slash Medicaid and Children’s Health Insurance Program (CHIP) physician payments by 10 percent, expand Medicaid HMOs statewide, and dramatically reduce mental health services. The budget now heads to the Senate for consideration. Meanwhile, the Senate Finance Committee is working on its own budget scenario. Right now, its budget bill spends $10 billion more than the House to prevent huge cuts to Medicaid and education. It includes no cuts in physicians’ Medicaid or CHIP payments. Physician Liability: The Senate State Affairs Committee will take up SB 1245 by Sen. Dan Patrick (R-Houston). The measure would provide immunity to physicians when they perform a student athlete physical examination or medical screening. The physicians of the day at the capitol are Chris Casso, MD, of McAllen and Melva Palacios, MD, of Edinburg. Dr. Casso has practiced family medicine for five years. She graduated from The University of Texas Medical Branch in 2004. Dr. Palacios has practiced family medicine for seven years. She graduated from The University of Texas Health Science Center at San Antonio in 2002. Dr. Palacios and Casso are members of TMA and the Hidalgo-Starr County Medical Society.